On the Way to Kuala Pilah from Seremban is the Ulu Bendul Recreational Park, which has long been a favourite of picnickers and long-haul lorry drivers looking for some shut-eye. It has a lovely Waterfall that is not too ferocious, which makes it relatively safe for children to frolic at the base of the falls under the Port Dickson, watchful eyes of their parents. The forest itself is quiet and rather pretty With nature lovers and campers using it as a location for their wholesome outdoor activities. The park also boasts of the 2,450ft high Gunung Angsi. 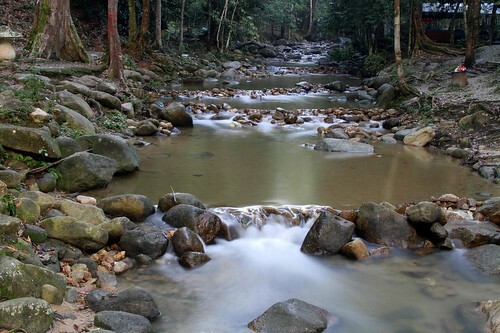 Part of the hike to the mountain follows the Sungai Batang Terachi - a beautiful sight indeed.